The Kingdom of the Netherlands is a sovereign state and consists of four countries; the Netherlands which is for the most part located in North-West Europe and Aruba, Curaçao and Sint Maarten which are located in the caribbean. The Kingdom is a constitutional monarchy with a parliamentary democratic system of governance and has a population of about 17 million. The Kingdom has a surface area of 42.508 square km. 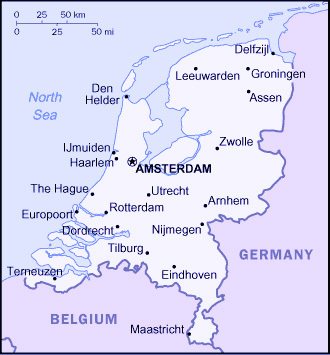 The Netherlands encompasses about 98 percent of the population and also about 98 percent of the surface area of the Kingdom and takes a central place in the government of the Kingdom. 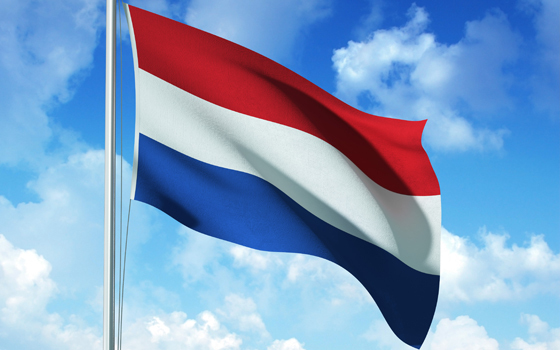 The flag of both the Kingdom and the Netherlands is a horizontal tricolour of red, white, and blue. In the constitution it is declared that the Kingdom has armed forces. Article 97 states that there are armed forces to defend and protect the interests of the Kingdom as well as to maintain and promote the international rule of law. Subarticle 2 determines that the government has supreme authority over the armed forces. While the government is the supreme commander of the armed forces, the defence minister has political responsibility and the Chief of the Netherlands Defence Staff has military leadership. The armed forces are divided into Royal Netherlands Marechaussee, Royal Netherlands Army, Royal Netherlands Navy and Royal Netherlands Air Force. The Ministry of Defence employs about 70.000 personnel of which about 45.000 is military and the remainder civilian. Allthough in the Netherlands the compulsory attendance is suspended since 1997, laws and systems that provide for the conscription of armed forces still exist. This means that the armed forces now consists of volunteers only, but in time of need conscripts can still be enlisted to serve in the army. In Curaçao and Aruba conscipts are still enlisted to follow a training program of one year. The Netherlands is a founding member of the North Atlantic Treaty Organization, an aliance of 28 member states in North-America and Europe. NATO is a political and military organization that aims to safeguard the freedom and security of its member countries by political and military means. NATO uses diplomacy, dialog, consensus and cooperation to reinforce security by reducing the risk of conflict. When no diplomatic sulution can be found the member states can vote for a military intervention. Member states share common values like democracy, freedom, solidarity, rule of law, individual liberty, stability and common heritage. The North Atlantic Treaty was signed on April 4th, 1949 in Washington. In article 5 of the Washington Treaty it is agreed that an armed attack again against one or more members is considered as an attack against all. Also it states that if such an armed attack occurs, each of them, in exercise of the right of self-defence will assist the parties attacked, if necessary with armed force, to restore and maintain the security of the North Atlantic area. NATO comprises 28 members: Albania, Belgium, Bulgaria, Canada, Croatia, Czech Republic, Denmark, Estonia, France, Germany, Greece, Hungary, Iceland, Italy, Latvia, Lithuania, Luxembourg, Netherlands, Norway, Poland, Portugal, Romania, Slovakia, Slovenia, Spain, Turkey, the United Kingdom, and the United States.